With so many different superfood and herb products on the market all claiming to be the best, how do you know which ones actually are? There are literally hundreds of companies selling virtually the same thing. To the untrained eye, it can seem like they’re all more or less the same—but they most definitely are not. 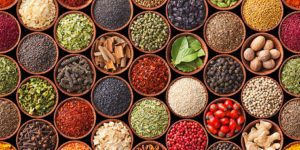 In fact, there are massive differences in quality, potency, freshness, integrity and sourcing practices between the various superfood brands and herb companies worldwide, and if you are not careful, you could end up with a substandard product of questionable origin, quality and potency. We’ve spent the last decade sampling and researching almost every single superfood and herb product on the market personally. We go to all the major natural products industry trade shows and ask the hard questions that sort the superstars of quality and consciousness from the “me-too” players just trying to make a quick buck. 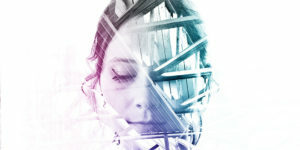 We actively look for and seek out the people and companies that imbue passion, consciousness, integrity and love into what they do and are truly trying to create the highest quality products in the world, because they would only ever dream of selling what they themselves take—and they consider their bodies temples of the highest sacredness and purity. Below, you’ll find a comprehensive guide to the top 10 best superfood brands and herb companies in the world that meet our ultra-stringent standards for quality, potency, integrity, ethical sourcing practices and overall consciousness. These are sacred herbs and superfoods that you can feel good about putting in your body because they are delivered just as nature intended. Why we love them: Sun Potion is an artisan, ultra-high quality superfood and tonic herbs purveyor with a strong commitment to purity, potency and only sourcing organic and wildcrafted products from native regions worldwide. They package their herbs and superfoods in gorgeous, non-leaching, recyclable and reusable cobalt blue glass jars, and select products are offered in special miron glass, which has a subtle energizing effect on the powders and keeps more light- and heat-sensitive herbs remarkably fresh and potent for years. But their potions make you feel so good that chances are you’ll work through your supply far more quickly than that. They have over 20 amazing, health-boosting products on their line including the stem cell rich and beauty enhancing Ashitaba, luxuriously smooth Shea Butter, highly-potent adaptogenic medicinal mushrooms (Reishi, Chaga, Cordyceps), nutrient-dense algaes like Chlorella and traditional Daoist and Ayurvedic tonic herbs like He Shou Wu, Astragalus and Ashwagandha that promote longevity and rebuild the mind, body and spirit from the inside out. 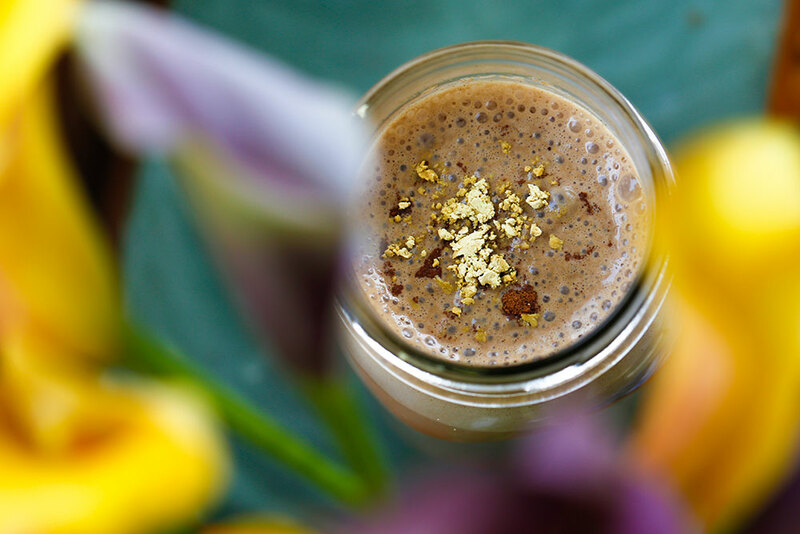 They also have some powerful and delightfully tasty blends, such as Anandamide, which is a chocolate and spice lover’s dream, and Green Adaptogen, a mood- and energy-boosting blend of Suma, Maca and Chlorella. Why we love them: Anima Mundi Apothecary offers an incredible line of ultra-high quality herbal medicines and superfoods ethically and sustainably sourced primarily from indigenous peoples and lands deep within the rainforests of Central and South America, creating a holistic, fair-trade micro-economy that is a win-win for everyone involved. They have a strong focus on connecting the world with the rainforest’s botanical treasures and integrating ancient wisdom of various cultures into their formulas and products. They offer several eclectic and powerful herbs such as Graviola and Chanca Piedra renown for their detoxifying and cancer-fighting properties. All ingredients are either wildcrafted, grown and prepared biodynamically, or sourced organically, while supporting small, sustainable, indigenous farmers. 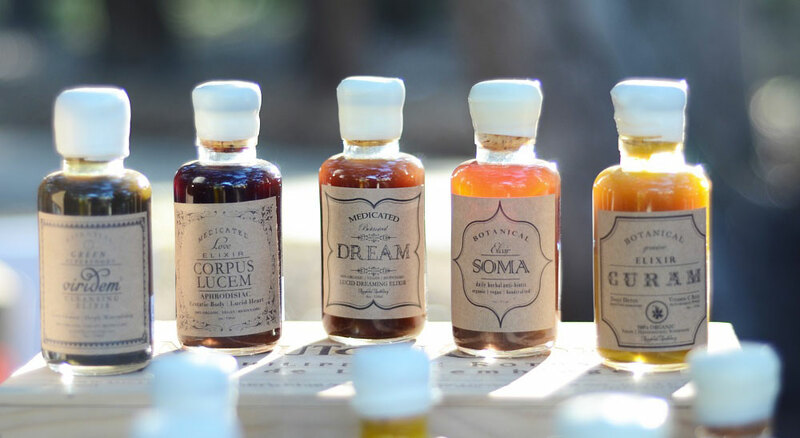 They have several immune-boosting medicinal tonics and elixirs created for various uses ranging from blood, brain, and liver support to anti-aging, weight loss, and more exotic things like lucid dreaming, all of which taste surprisingly delicious. Anima Mundi founder and master Costa Rican herbalist Adriana Ayales infuses decades of wisdom into her blends, integrating rainforest tribal botany with Ayurveda and Chinese Medicine to expertly craft each formula to support the body, mind and spirit holistically. Navitas Naturals offers an impressive, full-spectrum and 100% organic and non-GMO line of superfoods sourced sustainably from native growing regions worldwide. 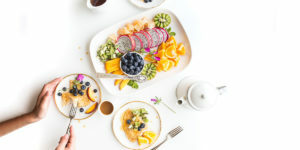 One thing in particular that we love about these guys is their commitment to transparency and education—they list the countries and growing/sourcing practices for each specific product on their website and offer fascinating insights into the nutritional aspects, uses and benefits of each of their superfoods. Best of all, their products are extremely high quality, fresh, potent and affordable—all of their superfoods are low-temperature dried to preserve nutrients, enzymes and sensitive plant compounds. They have an exotic and also highly practical line of medicinal foods and superfoods including everything from staples like wheatgrass, goji berries, camu camu, chia and cacao to tasty foods like yacon, hemp seeds, dragon fruit, golden berries, cashews, coconut chips and a number of high quality trail and snack mixes, among many others. Delicious, healthy and pure, Nativas is easily one of the top superfoods companies on the planet and a staple in any healthy kitchen. Why we love them: Four Sigmatic is a stylish Finnish superfoods company that offers a complete line of medicinal mushroom-based products designed for easy on-the-go use. With a strong commitment to wildcrafted and natural sourcing practices, these guys don’t just choose organic and trust that everything is going to be ok. They actually do in-depth research on their sources to absolutely verify that their products are either wildcrafted straight from nature or 100% pesticide and chemical free, because less reputable organic farms can’t always even meet that standard. Their aim is to make these research-backed, well-studied foods accessible and easy to add to anyone’s diet and daily routine. They make delicious mushroom-based instant (non-GMO) coffee and hot chocolate blends that only need to be added to hot water, and deliver a serious energy boost without the caffeine crash. These individual packets are especially great for traveling with or keeping tucked away in your purse or car—just in case! Why we love them: Imlak’esh Organics is an artisan-quality superfoods company on a mission to provide the highest quality organic and sustainably harvested, indigenous foods that nourish people and provide living wages and socio-economic opportunities for small farmers. Their line of particularly tasty superfoods lean more toward the food end of the spectrum—they offer many ultra-healthy nuts, seeds, oils, berries and select herbal and algae powders that, unlike medicinal herbs that definitely have a sweet spot in terms of how much you take in one day, can be consumed liberally. These are functional superfoods that are meant to be eaten throughout the day and as such, their products are formulated with taste in mind, which is exemplified in products like Canopy Clusters, which combine omega-rich sacha inchi seeds with heirloom popped quinoa, goji berries, mangos and a special Ayurvedic spice blend for a truly magical, mouthwatering experience. All of their products come packaged in beautiful, recyclable and reusable glass jars demonstrating their commitment to quality and the environment on every level. Why we love them: Nutiva is a pioneer in the organics and superfoods space, responsible in large part for introducing the world to such amazing foods as hemp seeds and coconut oil, among others. They have a strong commitment to quality and sustainable sourcing practices—all of their products are certified organic, non-GMO verified and of a truly impeccable freshness and integrity. In addition to coconut oil and hemp seeds, their line includes many highly nutrient-dense superfoods like chia seeds, fair-trade, sustainably sourced red palm oil, vegan protein powders gluten-free flours, nut and seed spreads and other vegan, organic baking essentials. In addition to being a certified B Corporation and a California Green Business, Nutiva has a strong ethos and commitment to “nourishing people and planet,” ensuring that environmental and social responsibility remain at the forefront of what they do. Through the Nutiva Foundation, they support several initiatives focused on creating healthier communities and systems for sustainable agriculture worldwide and are committed to fair-trade and slavery- and cruelty-free sourcing practices, choosing to work directly with communities as much as possible on every level. 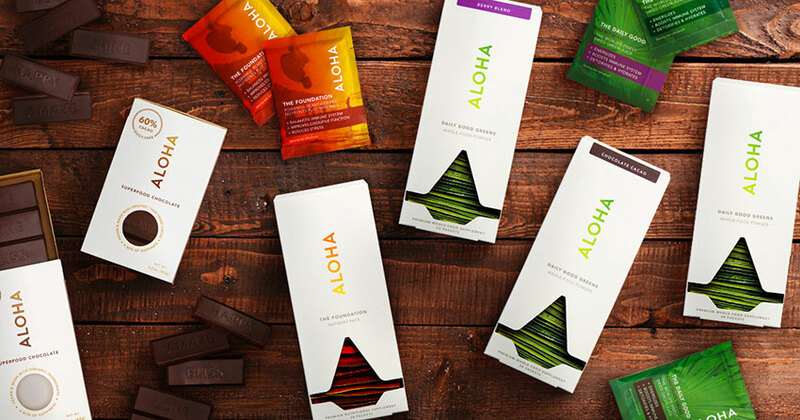 Why we love them: Aloha offers a beautifully designed array of conveniently packaged green superfood powders, protein bars, medicinal teas, whole food vitamins, chocolate and superfood-based snacks, making them one of the most robust and comprehensive superfood lines available. Their line is almost entirely organic and free of anything even remotely questionable—sweetened with the likes of stevia, monk fruit extract, coconut sugar, agave inulin and other whole, mostly organic foods, you can rest easy knowing that purity is of utmost importance here. Their convenient single-serve greens powder packs, which they’re working hard to make sustainable like the rest of their packaging, make it delightfully simple to get a daily dose of superfoods (and a full serving of fruits and vegetables) when you don’t have time to make your go-to green juice or smoothie. All of their products are non-GMO, vegan, kosher, and gluten, soy and dairy free. 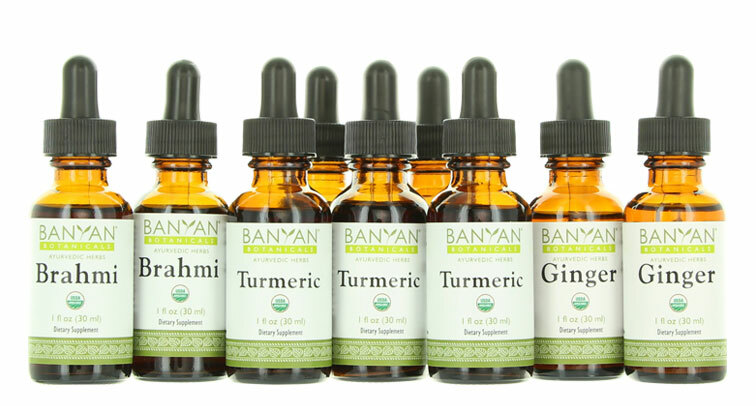 Why we love them: Banyan Botanicals is the world’s leading purveyor of Ayurvedic superfoods and herbs with virtually unparalleled quality and sourcing standards. The vast majority of their products are organic and the few that aren’t are grown to organic standards on farms that are transitioning to becoming fully certified organic. 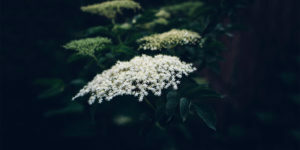 They only source herbs from farms that pay fair-trade, living wages to their workers and grow their herbs in harmony with nature or completely wildcraft them altogether in forest settings. From more common superfood spices, such as Ginger and Turmeric, to the Ayurvedic favorites Ashwagandha and Gotu Kola and everything in between, Banyan offers a huge spectrum of otherwise hard-to-find Ayurvedic herbs. They even have specific superfood herbal blends that are designed to balance the three doshas (or body/mind constitutions) that exist in Ayurvedic medicine. Why we love them: Essential Living Foods is on a mission to bring traditional, heirloom superfoods from around the globe to health seekers worldwide, marrying ancient wisdom with modern culture. They work in tandem with small farms and indigenous groups to supply customers with the purest, most nutritious Superfoods on Earth. Their global trade partnerships help nourish sustainable agricultural practices and support meaningful development, and 1% of profits are donated back to the communities who supply their exceptional products. A certified B Corporation, all of their products are organic, non-GMO, vegan and raw or low-temperature dried. 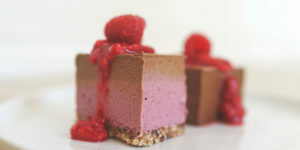 In addition to whole food plant-based supplements specially formulated for women (or goddesses), men and athletes, their line of superfoods includes raw berries, nuts, seeds smoothie blends, trail mixes, and cacao—all ethically sourced and wild-harvested in pristine eco-systems, or grown on small farms that enhance the health of soil and water systems while protecting forests and biodiversity. fresh, tasty surthrival colostrum powder. Why we love them: Surthrival is an artisan superfoods and herbs company committed to quality over quantity, with a specific focus on regenerative and adaptogenic products. Their focus on potency and sourcing quality is legendary. All of their products are either wildcrafted, organic or harvested in a cruelty-free way from free-range, humanely raised animals in the case of their Deer Antler and Colostrum products. Furthermore, they package the vast majority of their line in special miron glass jars that preserve the freshness, potency and energetic integrity of the herbs and superfoods like few other methods can—miron is literally the gold standard for sustainable, conscious packaging of herbs and superfoods. As of this writing, they offer only a handful of products, but this limited scope allows them to focus on making each of these some of the finest and most potent available worldwide. 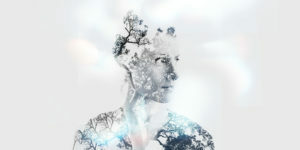 They have a unique and eclectic collection of powerful superfoods and herbs, including Colostrum, Deer Antler, Pine Pollen, Reishi, Ghee, Chaga and Schizandra berry, all designed to help you thrive and rejuvenate the body and mind from the inside out. Meghan McDonald & Justin Faerman are the co-founders of Conscious Lifestyle Magazine and think that they know a thing or two about herbs and superfoods.